March is always an interesting month at Ace, because it’s the month that we went into business, and therefore it’s always a time to reflect on how we are running, what has changed in the industry, and what we could be doing better. We also had the first Piaggio/Vespa dealers conference, to which I will return to later. There have been a number of shifts in the industry over the last year or so. In the entire retail market one of the biggest stories in addition to the GFC has been the growth of internet purchasing, and no business appears to be immune. Even with the inconsistencies of import duties and GST, prices for many parts and accessories seem unrealistically high here compared to the rest of the world. Sometimes it is partly explainable; the ongoing costs of helmet homologation (and the fact that they are often modified by manufacturers to meet Aus standards), does result in higher prices; but the comparative price of some accessories just seems truly out of whack. What is more distressing is that this can lead consumers to believe that retailers are purposefully ripping them off. And in many cases they may very well be right, but certainly not always, and much more rarely in the scooter industry where profit margins are comparatively meager! But uncertainty over pricing makes consumers uneasy, and destroys trust. It also makes consumers more prone to shop around. Interestingly many retailers and consumers get fixated on price – “if it’s not cheap, then people won’t buy it”. Unfortunately this leads to some retailers getting caught up in the discounting spiral, forever lowering their prices to get business. Whilst in the short-term this approach can appear attractive, with revenue and turnover increasing, ultimately this business strategy is doomed to failure as competitors are forced into a discounting war, with the end result of businesses either going belly-up, or put into such financial straits that they end up resorting to all sorts of malpractice just to keep afloat. And doubly unfortunate is that good companies often become collateral damage. Which brings me back to the Piaggio/Vespa dealers conference. Being over in the West, we rarely get an opportunity to meet the dealers in the eastern states, and it’s a huge pity, because it was great to get together with them. What was clear was that the vast majority were like-minded in their approach – focused on helping and looking after their customers, enthusiastic and supportive of the brands that they sold, and genuinely understanding what makes a sustainable, quality business, such that I’d be more than happy to recommend these dealers to any of my customers. However most of them were feeling the pinch from the GFC and the increased competition that has come from it. But it was also clear that not all dealers feel the same way. Some simply didn’t pitch up. Perhaps for good reason, perhaps not. Maybe not quite as committed to the brands as I suspect that they tell their customers. Another was there, but apparently to try to justify his “pile-em-high, sell-em-cheap” approach – a strategy that may be working for him in the short-term, but is already having impact on the rest of the dealer network in that area. And that isn’t good for the customer. The thing is scooter riders need a good dealer network to look after them. Doing a half-baked job on a service to keep it cheaper than the next guys, is not good for a customer, neither is overcharging to try and claw back some of that discount you gave away when you sold it. Do the right job, at a fair price is the mantra that most of the dealers I talked to repeated time after time after time. This builds faith in the product, and trust with your customers. But dealers need to make money to help invest in the additional services that their customers want, and systematic discounting prevents them from doing much more than just keeping the doors open. The question is, what do we need to do to help the general public realise that paying the right price at a good dealer is the best way to proceed? And how do we let them know what the right price is, and who the good dealers are? On a sadder note, today we learned of the untimely and early death of Jeremy Bowdler. Jeremy was the editor and driving force behind Scooter magazine, and has been right in the centre of the development of our industry over the last 8 or so years, bringing it to the attention of a new era of scooter riders. I had the privilege of writing some articles for some of the early editions of Scooter magazine, and Jeremy was a pleasure to write for – he set few rules and amended very little. His presence, wisdom, passion and enthusiasm will be greatly missed. 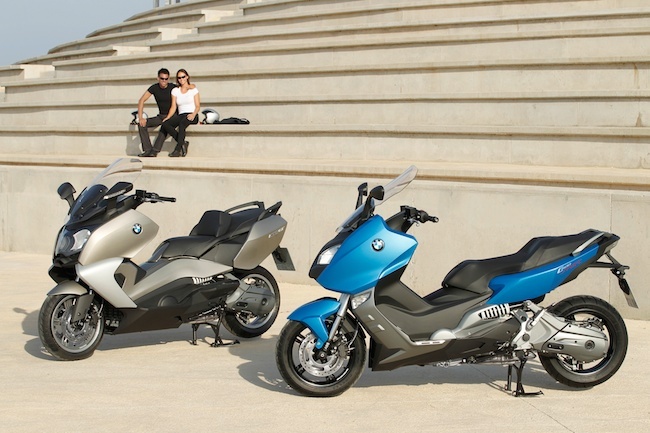 BMW Motorrad has starred at the red dot design awards, taking out 4 highly coveted titles for outstanding design achievements for its motorcycles. The red dot wards, inaugurated in 1955, are one of the world's leading design awards with a jury of international design experts rewarding outstanding design in 19 different categories. The K 1600 GT opens up a new concept in touring motorcycles. It has an unmistakable and imposing presence that redefines the class. The G 650 GS received the red dot for its lightweight, go anywhere adventure looks that is in keeping with the BMW Motorrad GS family. The important awards delighted General Manager BMW Motorrad Australia and New Zealand, Tony Sesto. "BMW Motorrad is a dynamic and innovative marque and the red dot awards emphasise our philosophy of creating motorcycles that appeal to all of the senses and will give owners many kilometres of sheer riding pleasure," said Tony. Piaggio and Vespa have expanded their range to cover all segments of the Australian scooter market. The Italian based Piaggio markets both their famous Vespa classic range of scooters and the contemporary Piaggio range. The Piaggio brand has experienced the most significant shake up with new models being added to fill gaps and provide the most comprehensive range of contemporary scooters available in the Australian market. 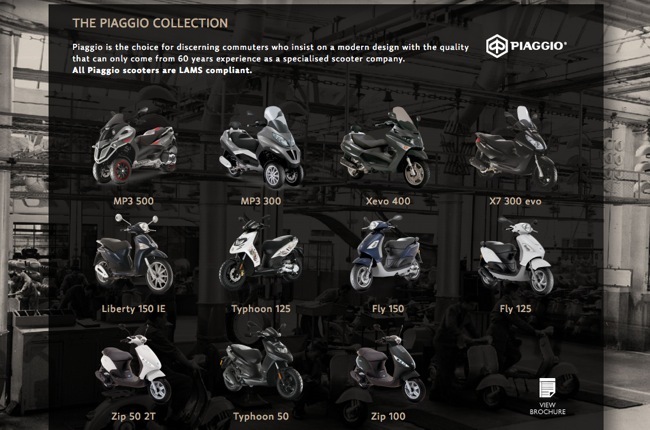 Like all major manufacturers, Piaggio has established manufacturing bases throughout the world to provide competitively priced product. The design and quality control of course continues to be managed by Italy and provides the best of both worlds. 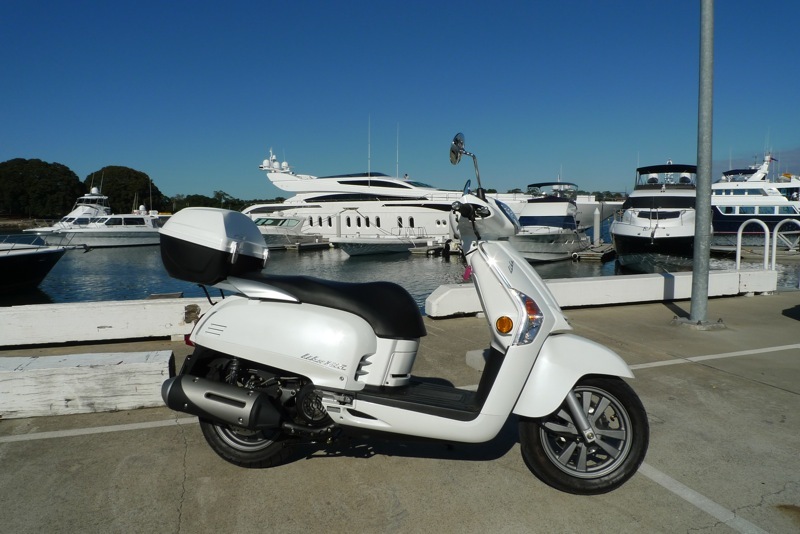 Piaggio Australia now sources Piaggio product from a number of locations including the Italian home base as well as other off-shore locations. On the back of Piaggio's success with Australia's number one selling scooter, the Fly 150, the range has recently been bolstered with two new models, the Typhoon 125 and the Liberty 150ie. In the second half of the year, these will be joined by the New Fly 150ie. The Typhoon 125 is a robustly built scooter with chunky treaded tyres and sporty yet utilitarian styling. It remains comfortable and usable for larger riders and is a tough little performer. With an MLP of just $2990 and a choice of colours it has already carved an enviable reputation amongst owners. The return of the Liberty 150ie big wheel scooter satisfies those riders who seek a comfortable and capable scooter that can also make short work of rough roads. Whilst most scooters are comfortable on most Australian roads, the Liberty's large diameter wheels provide an even smoother ride for owners who are less fortunate to enjoy smooth roads on their daily commute. The Liberty now features EFI and a larger under-seat storage. The MLP is $3490. Australia's number one scooter just got better. The new Fly is scheduled for release in July and will carry a number of new features including EFI, security immobiliser, lower seat height, larger under-seat storage, side-stand and halogen headlamp. 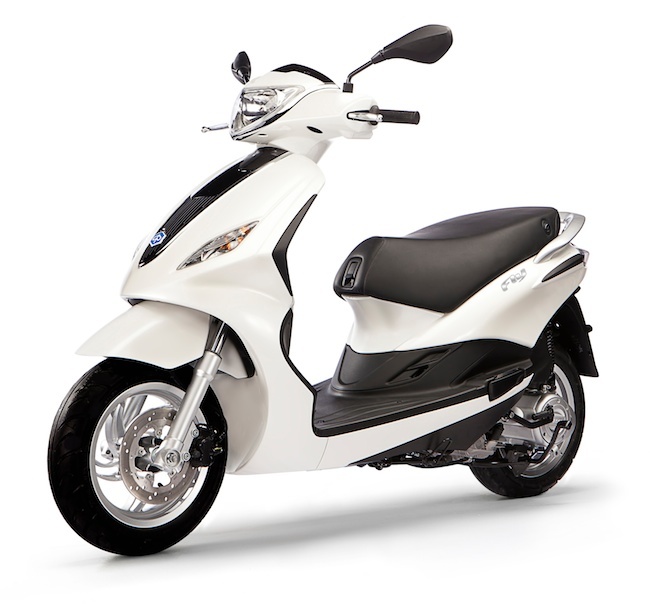 With an MLP of $3290 it is priced between the New Typhoon 125 for the Liberty 150ie and provides a new level of features and benefits for the savvy scooter owner. At the top end of Piaggio's line-up is the unique and amazing 3-wheeled MP3 range. Starting with the MP3 300, this model fits right into the mid capacity maxi market. No wider than a typical two wheeled maxi, the MP3 300 shines when the weather doesn't by providing unmatched grip and braking performance on wet or slippery road surfaces with it's twin front wheels. The MLP of the MP3 300 has just been reduced by $1000 to $8990 bringing it on par with pricing usually reserved for 2-wheeled maxis. 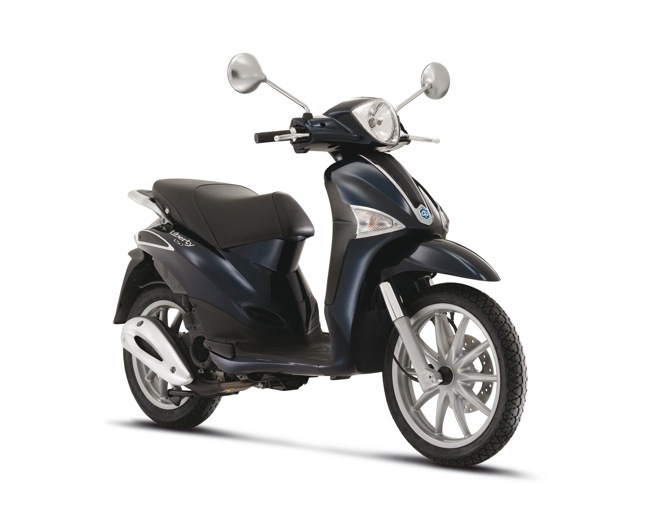 The mothership of the Piaggio MP3 range is the new MP3 500. Previously on sale in Australia as the Gilera Fuoco 500, the model has been rebadged under the Piaggio brand as it is in the US. The new variant will go on sale in Australia with an MLP of just $10,990, a reduction of $1000 compared to the previous Fuoco models. With a full range of 21 models, the Piaggio and Vespa range provides a solution for everyone's needs whether they be principally for commuting or for recreation. Already the number 1 choice for scooter buyers in Australia, the Piaggio / Vespa brand has plugged the remaining gaps in the market with their comprehensive range which is unmatched for choice, price, quality and reputation. Both zippy and economical the TGB Bullet 50 is a quality built entry level scooter that is unmatched in the industry. With cool sports styling supported by a zippy 2-stroke 49cc engine, the TGB Bullet 50 has the performance to ensure that on that you will always arrive on time and in style! The TGB Bullet 50 also features a front disc brake, low seat height and 12 inch wheelbase creating a riding experience suited for everyday the city commute. With easy ‘Twist and Go’ CVT transmission, the TGB Bullet is ready to take you on a ride! Other features include electronic dash display, integrated rear tail light, aluminium floorboard and rock solid reliability. The Bullet 50 is a compact, nimble little scooter with plenty of underseat storage, creating a perfect place to put your shopping! An economic commute, the Bullet 50 is a sporty commuter that oozes attitude and conviction on the roads. Falling under the LA category, the all-new TGB Bullet can be operated on car license only in WA, SA, QLD and NT. As are all TGB scooters, the new TGB Bullet 50 is supported by a 2 year parts and labour guarantee and nationwide dealer network. The TGB Bullet boasts the high class quality and reliability that Australians have come to expect from TGB scooters! Designed with YOU in mind, the TGB scooter ranges continue to offer consistently economical, fashionable and reliable commuters to get you where ever you need to go! 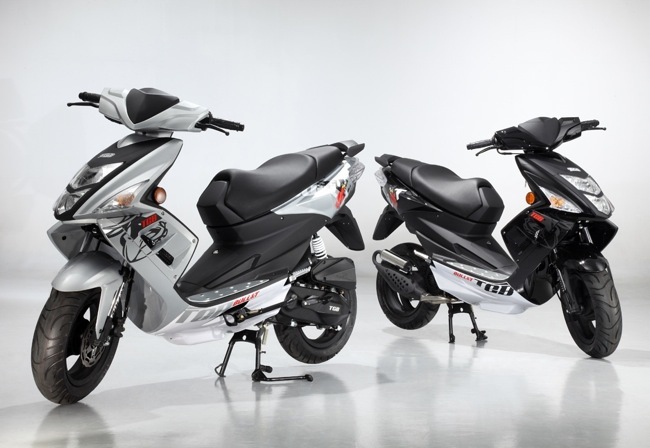 Uniquely combining the dynamic performance of a motorcycle with the ease of use of a scooter, Honda introduces the all-new Integra. 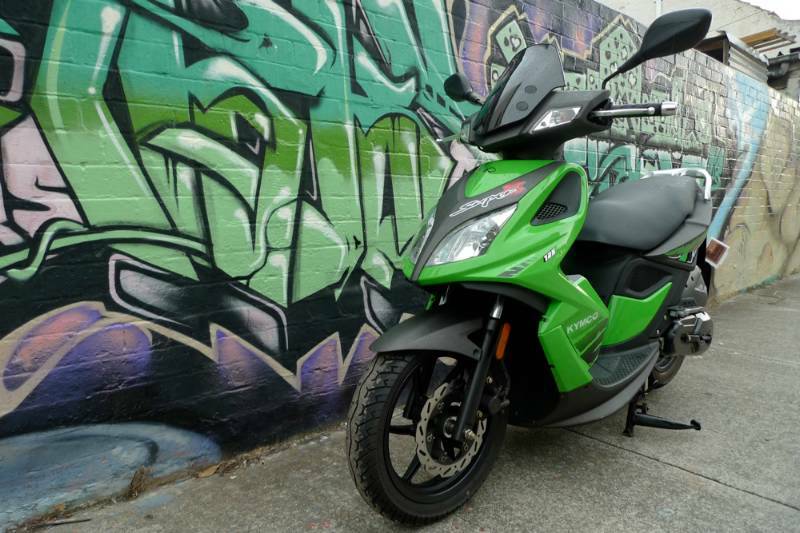 This large capacity scooter will make its debut into the Australian market this month retailing at a competitive $10,990 (MLP). At the heart of this new machine is a purpose-built engine and transmission package. The liquid-cooled, in-line 2-cylinder 670cc engine is a lightweight and compact unit positioned to give a low centre of gravity. Honda’s innovative Dual Clutch Transmission offers the convenience and ease of use of an automatic transmission with the optional control of a manual mode should the rider choose it. 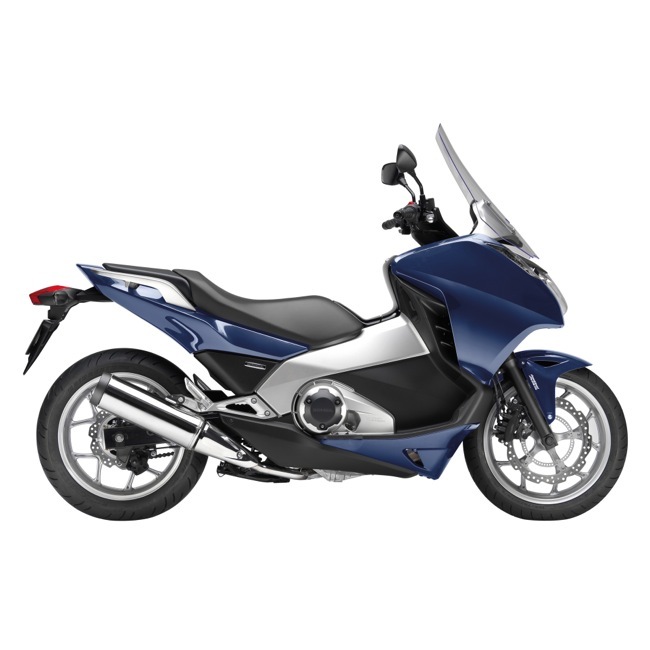 The Integra offers strong torque at low to medium engine rpm, which is where riders spend the vast majority of their riding time, together with a very usable power delivery, low exhaust gas emissions and superb fuel efficiency. The Integra features conventional motorcycle wheels and suspension, and a rigid tube steel diamond frame with geometry optimised to create a sense of excitement and complete control. Overall chassis stability is further enhanced by the Integra’s weight distribution which also ensures easy handling at all speeds, from stop-start city riding to high-speed highway cruising. The Integra’s C-ABS system is equipped with both the easy control of a Combined Brake System and the extra reassurance of an Antilock Brake System. The CBS effectively balances front and rear braking control for smooth operation. At the same time, the ABS provides extra reassurance and the confidence to build skills in unexpected or extreme situations. Despite its slim proportions, the Integra features a 15-litre under seat storage space large enough to hold a helmet or waterproof cover. The main fairing also offers a second, smaller storage compartment within easy reach of the seat, ideal for tickets, wallet or mobile phone. As well as being practical and fun to ride, the Integra is a bold and original styling statement, fusing new forms, slick surface treatments and strong lines. It offers a high level of wind protection and a relaxed, comfortable riding position. It’s a Honda and is truly a unique and desirable modern machine. Conceived to deliver an engaging riding experience, the Integra will be perfect for anyone looking for a practical, fuel efficient exciting commuter machine. 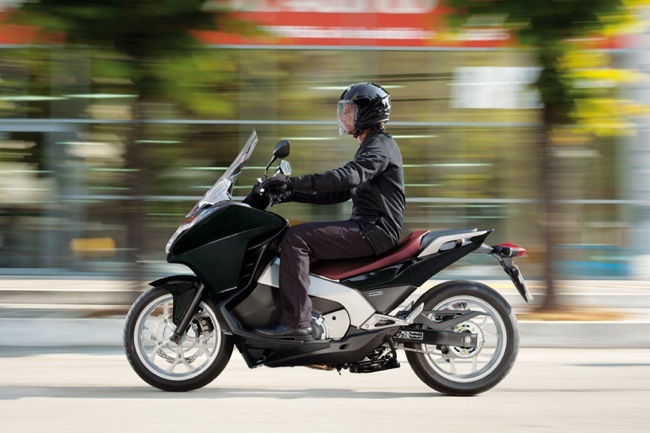 The 2012 Integra Scooter will be launched in Ion Blue Metallic and is available in Honda Dealerships nationally. We got a taste of the Kymco Super 8 125 a little while back. Biggish wheels, 125 cc engine, dual shock absorbers, the Super 8 had the hallmarks of being a fantastic budget commuter. Other features included a flat floor, box-ready rack and a nice set of flip-out footpegs for the passenger. All in all, pretty impressive for a budget commuter. Now to the point. Sydney Kymco retailers Scooter Central and Scooterworld have acquired limited numbers of the Super 8 125. Limited numbers because of the price offering. For a short time the Super 8 125 with 12 months rego is only $2490 Ride Away. This represents a significant saving over the standard RRP. If sport is not your thing, check out some of the other Kymco specials in-store. This includes the Like 125, $2990 Ride Away for this retro classic. The big-wheeled Espresso 150 for $3590 Ride Away. Not forgetting Kymco also has the $100 free fuel offer being handed out for every new Kymco registration in Sydney. Limited colours and limited stocks exist. Scooter Central is located at Brookvale. Find them @ http://www.scootercentral.com.au. Scooterworld is in the inner city Redfern area. Find them @ http://www.scooterworld.com.au. This media release by Piaggio Italy. Not very far from our shores here in Australia some very important strategic events are taking place for the Piaggio company. 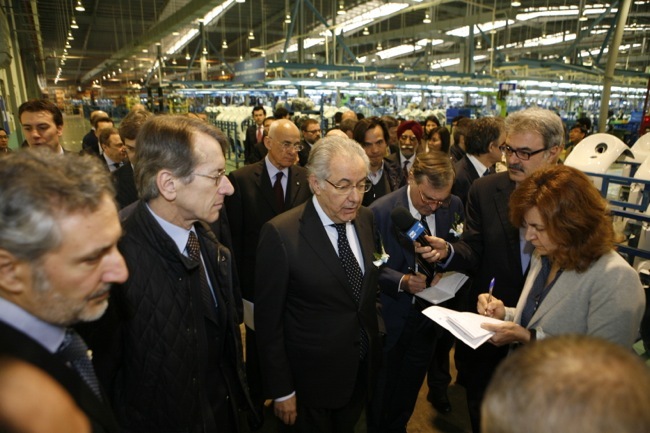 In Vietnam the Piaggio Group is officially launching a decisive new phase in the development of its operations in the Asia Pacific area, with the opening of a new engine factory to serve its made in Vietnam production, whose capacity will rise to 300,000 vehicles/year. The factory opened today in the Vinh Phuc industry park near Hanoi will build scooter engines; its initial production capacity will be more than 200,000 engines/year, rising to 300,000 as the production capacity of the vehicle plant increases. The new engine factory – where production operations will begin in April – will include, in addition to the scooter engine assembly lines, aluminium machining equipment and test benches. The new Piaggio Group plant stands next to the Piaggio Vietnam vehicle assembly plant, which handles all welding, painting and final assembly operations for the Vespa, Liberty and Fly scooters produced by the Group’s Vietnamese subsidiary. 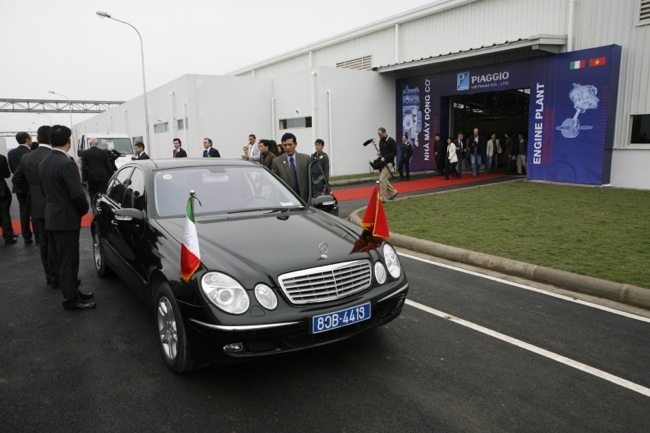 The Piaggio Vietnam industrial complex in Vinh Phuc also houses an R&D Centre for the two-wheeler sector – the first R&D unit set up by the Piaggio Group in Asia – which operates in synergy with the Group headquarters in Pontedera, focusing on the vehicle and engine ranges produced for the Asian and Pacific markets. Since beginning production in June 2009, under the leadership of Costantino Sambuy, who is also the Piaggio Group’s head of operations in Asia Pacific, Piaggio Vietnam has already built more than 180,000 two-wheelers. 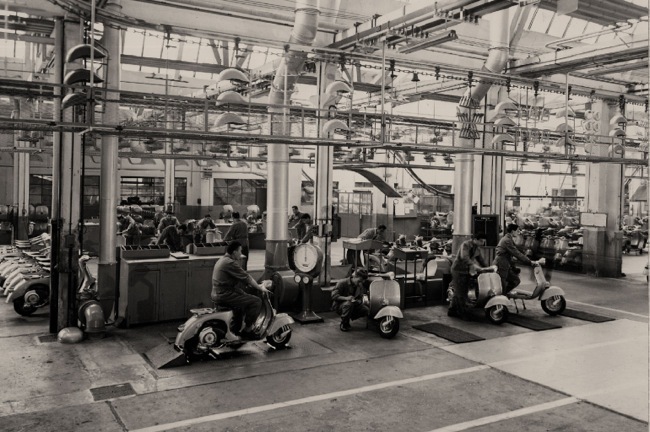 Besides its Vespa production (where the 100,000th scooter since Vietnamese production began came off the production lines in the second half of 2011), the subsidiary successfully produces Liberty high-wheel scooters. In February 2012, Piaggio Vietnam also launched the new Fly, an innovative compact scooter available in 50, 125 and 150cc versions. 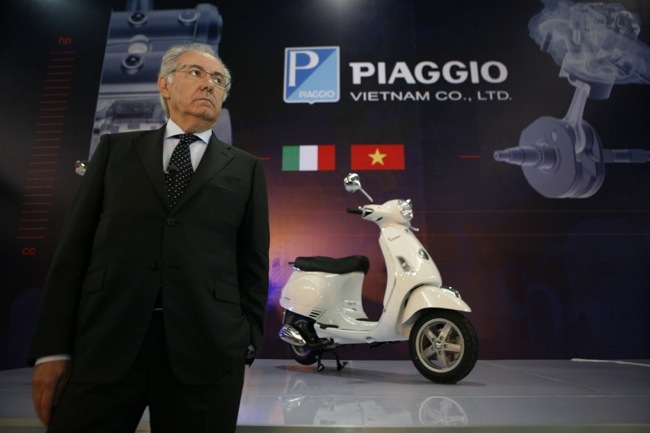 In addition to winning a leading role in the premium sector of the Vietnamese market, Piaggio Vietnam has enabled the Group to move into very important new markets in South East Asia, notably Indonesia, Thailand, Taiwan and Malaysia. In Asia, in the two-wheeler sector, the Piaggio Group is about to launch the special low-emission fuel-efficient Vespa model recently presented at the Delhi Auto Show on the Indian scooter market, where annual growth rates are particularly high. Vespa production in India is being started up in a new plant in Baramati – on a site that already houses the industrial complex of Piaggio Vehicles Private Ltd., the leading player on the Indian three-wheel commercial vehicle market – with initial production capacity of more than 150,000 vehicles/year. Recently noted that Piaggio Australia have launched a new website showcasing both the Vespa and Piaggio brands. The site has an overall new look and feel, the intention is to capture the brands heritage. On the site for the first time we see the new Typhoon 50 2T listed and the change in designation of the Gilera Fuoco 500 to the Piaggio MP3 500. A few videos, a place to find further information on events and promotions. Check out www.piaggio.com.au, the new home of Piaggio/Vespa in Australia. It's been a while since we've seen a new maxi scooter hit Australia. Actually, we have seen more and more larger capacity scooters disappear over the last few years. The maxi market has been tough work. Honda will be first off the mark and will get the ball rolling in March. The all new Integra arrives with its unique 2nd generation dual-clutch transmission. 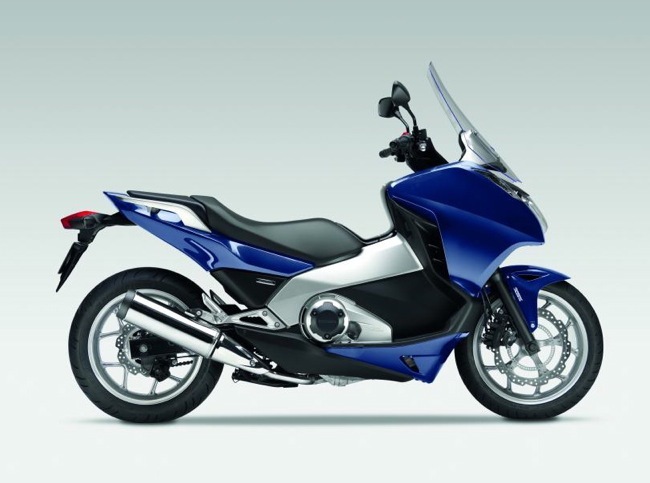 The Integra will be a hybrid of sorts, offering motorcycle type dynamics with scooter like storage and comfort. Storage will total 15 litres, so enough for a full face helmet and a bit more.